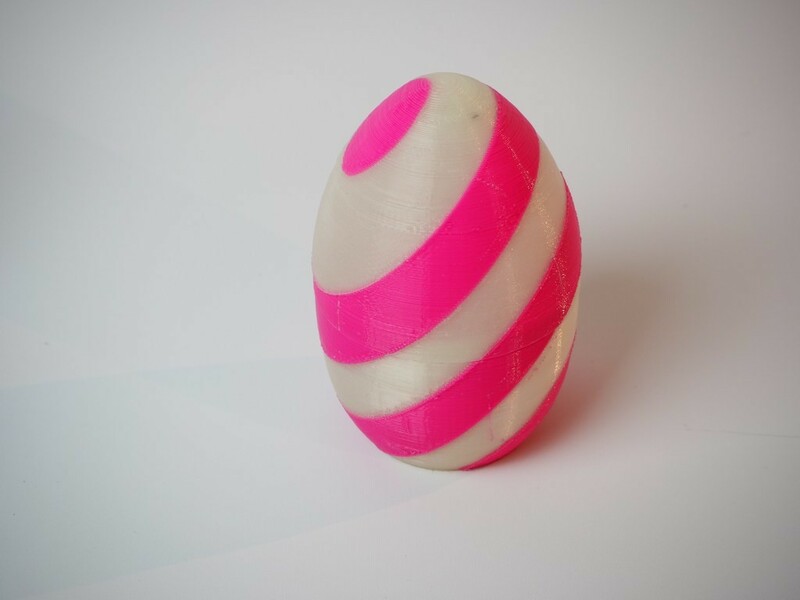 What is there not to love with a 3D printed, two-color Easter Egg filled with candy? 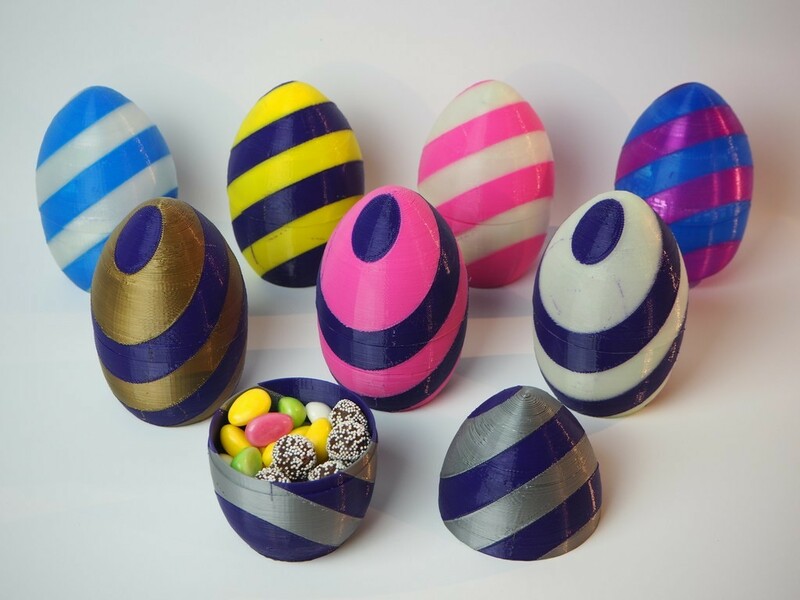 The files to make my 3D printed Easter Eggs are now available for download on Thingiverse (completely free, CAD files included). 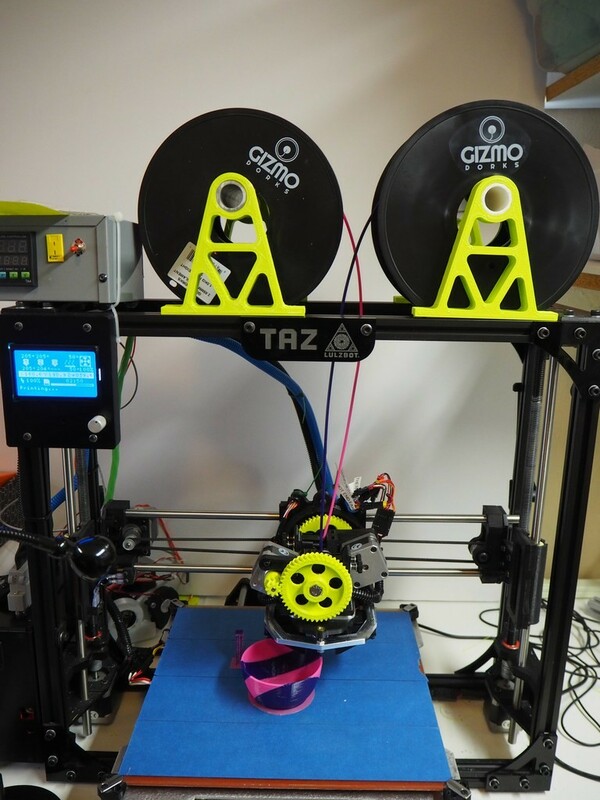 I designed it in Autodesk Inventor, and then printed it on a LulzBot TAZ 5 with dual extruder head from IT-Works. 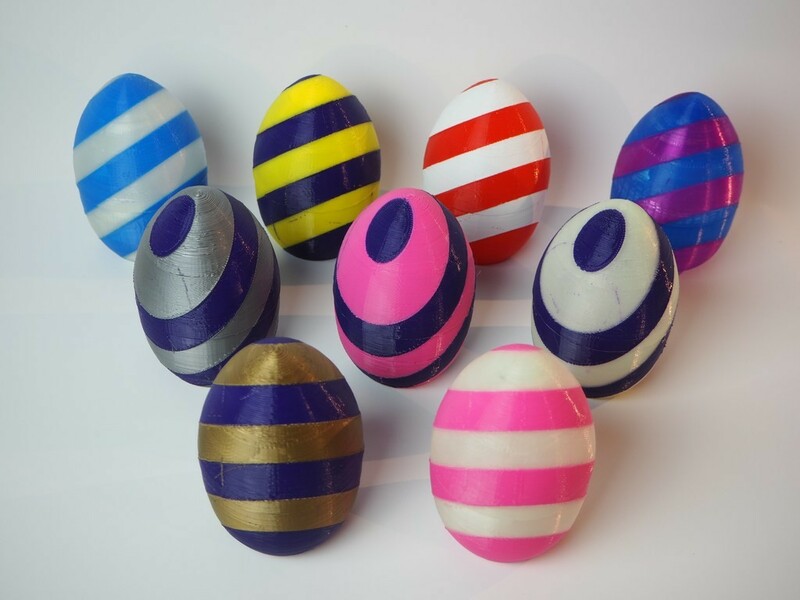 They are printed in PLA (Poly Lactic Acid), which is a bio-degradable plastic made from corn. 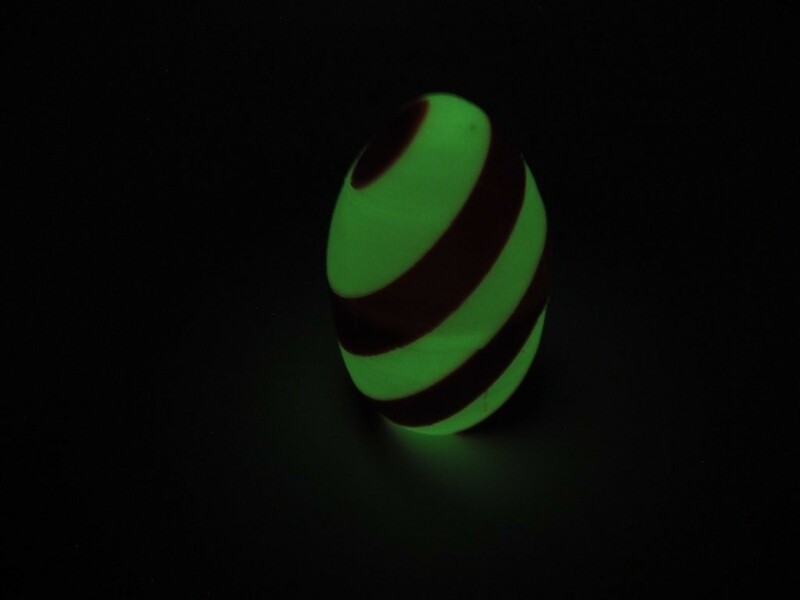 The glow-in-the-dark version is a big hit (see the photo). P.S. 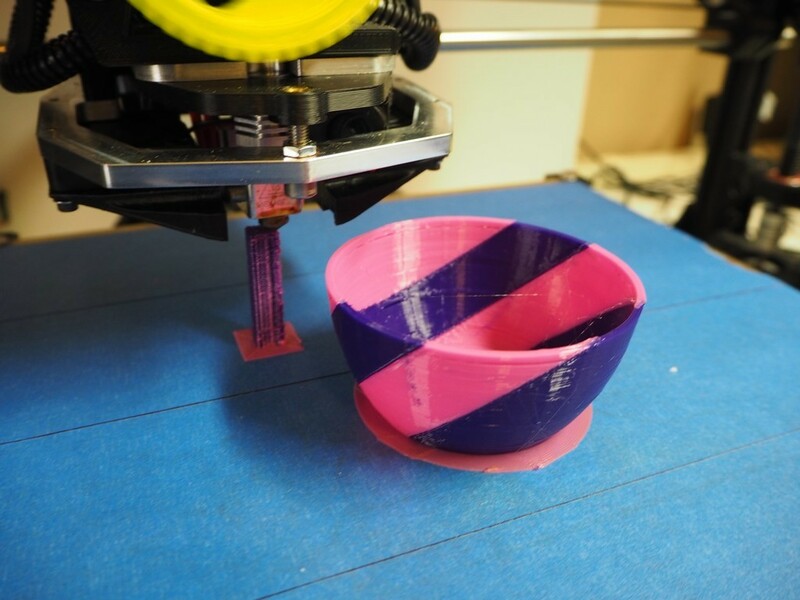 Single color file also included in case you don’t have a dual color printer. 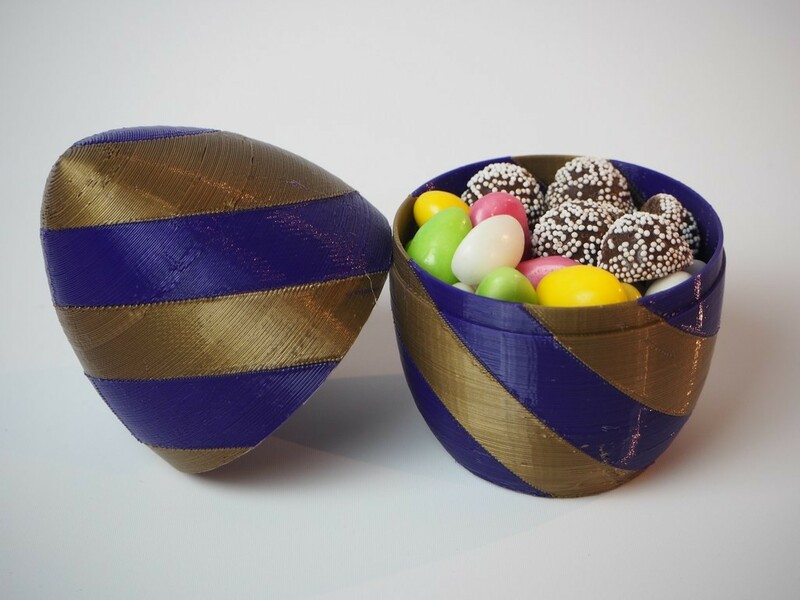 Candy is not included.